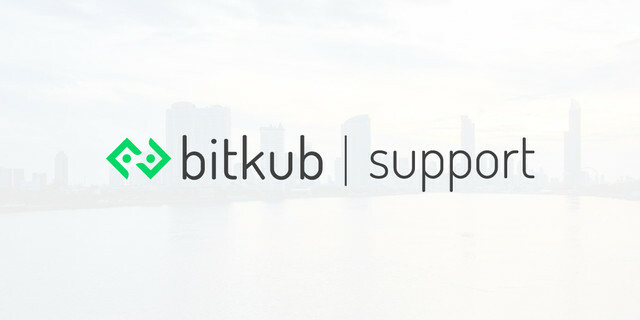 What services does Bitkub provide ? Where can I find Bitkub's social media? We provide THB and cryptocurrency exchange services. Our platform acts as a medium where you can simply buy, sell, and hold your coins. We continuously improve our exchange platform to ensure that you will access the best exchange service in Thailand. Since there is no limit to the type of coins that will be available in the world of cryptocurrency market, we are prepared to add more of the best and in-demand coins in our platform. THB is our only option for fiat deposit and our coin deposit is limited to our supported coins. You are able to deposit THB easily by transferring money through our official Thai banks (please check all of our available deposit methods here) Furthermore, it is very easy to deposit coins. You can transfer your coins to our wallet address, then the transferred amount will be automatically added to the system. We guarantee that your money will be stored safely with maximum security. ***There are limits to both your deposit and withdrawal amounts. Every user must comply with our User Agreement. You can withdraw THB effortlessly once your Thai bank account is verified. You can also easily withdraw any coins by just inputting the wallet address of the recipient. Both withdrawal types require email confirmation in order to comply with our security protocols, including entering the 2FA authentication code if you activated it. We require a small fee for processing the withdrawal (see our fees). ***There are limits to both your deposit and withdrawal amounts. Every user must comply with our User Agreement.